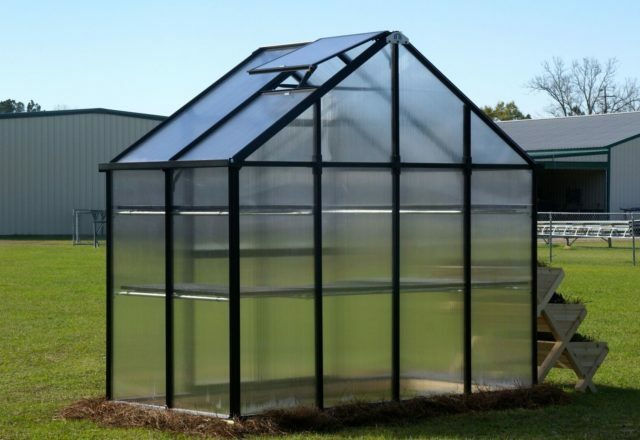 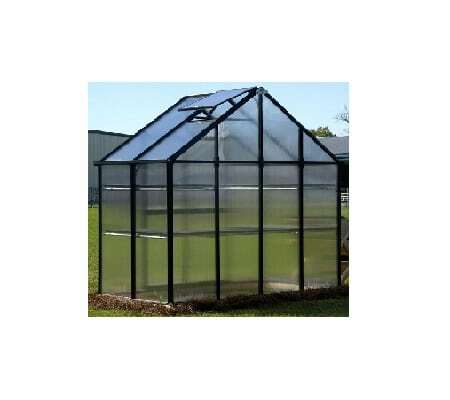 The Monticello 8 x 4 Patio Greenhouse enables you to grow all their favorite vegetables in a greenhouse on your patio or deck. Enough to grow a variety of vegetables and herbs but small enough to fit on most decks or patios. 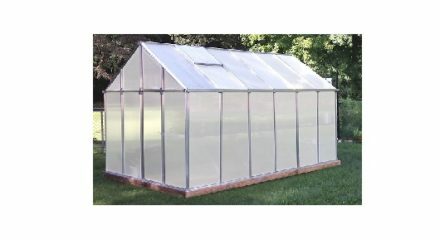 Making this greenhouse ideal for urban gardening. 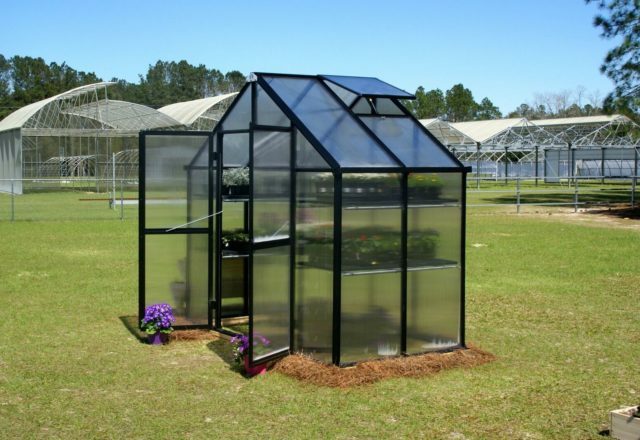 Start your seedling in this compact greenhouse and then transplant them to your garden. 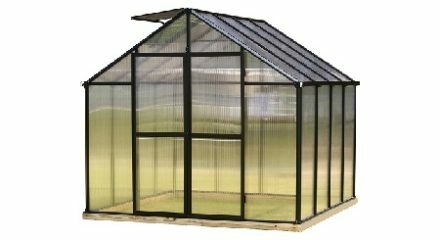 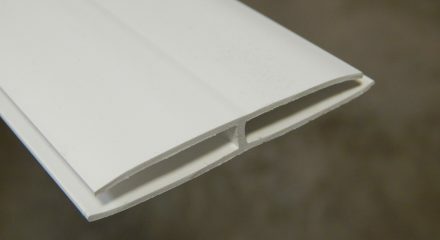 While most hobby greenhouses on the market use less expensive, thinner walls and roofing materials, the Monticello uses professional grade 8mm twin wall polycarbonate, the same thickness used in the commercial greenhouses. 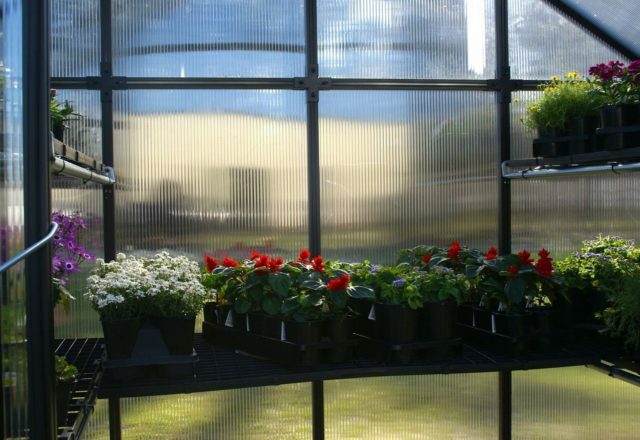 The twin-wall polycarbonate keeps cooler air in during warm months and insulates the greenhouse from cold temperatures in the wintertime. 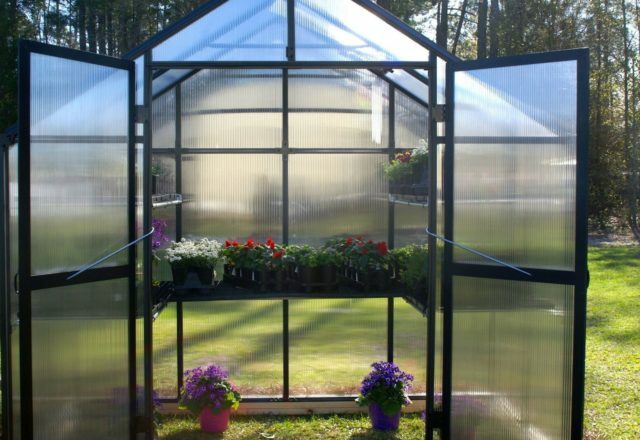 Making the Monticello Greenhouses more efficient for growing over a longer period time, or if you choose to grow year-round. 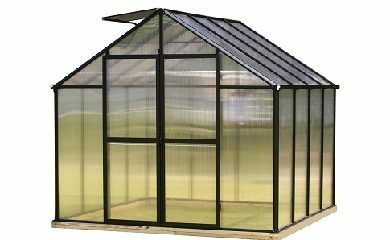 The Monticello Patio Greenhouse comes standard with a U-shaped workbench system, double-tiered on the sides, for added growing room. 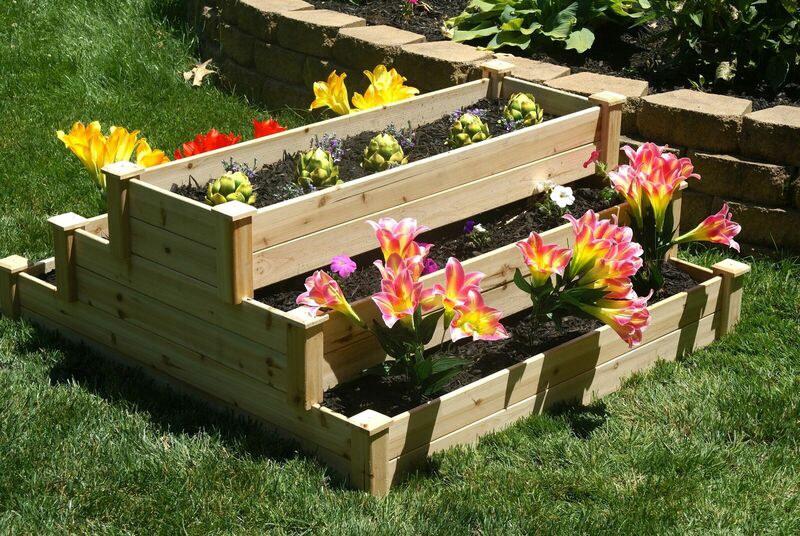 Also included is a programmable and a drip irrigation system which you can customize. 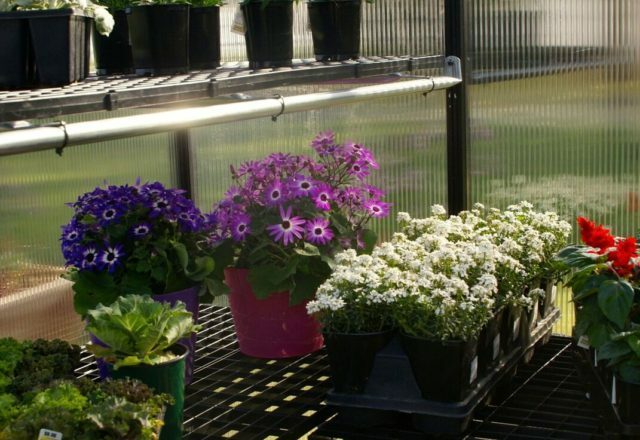 The large potting sink adds workspace and an interior shade system allows better light control. 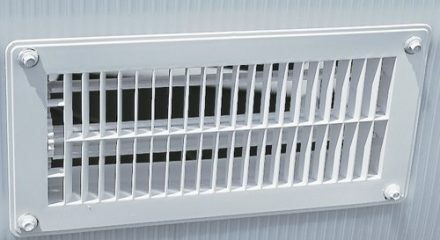 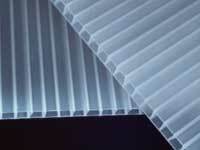 With the built-in automatic roof vent, you can control the inside temperature and ventilation. 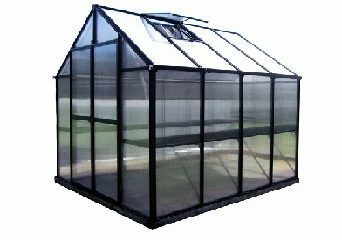 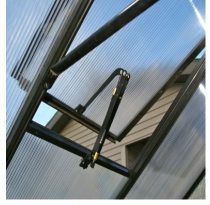 The Patio Greenhouse is constructed from the highest quality extruded aluminum (US grade – not the thinner & more brittle foreign aluminum) and electrostatically painted Black. 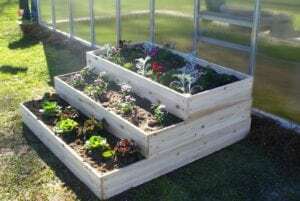 The design is versatile in that the 3 tiers can be stacked to form a waterfall, a pyramid or three separate raised beds. 3 tiers measure 4 ft. x 4 ft. x 5.5 in. 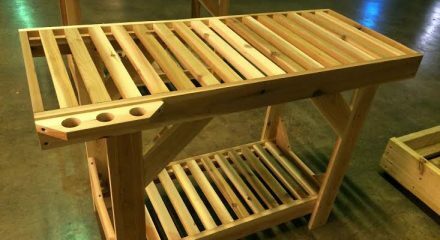 ; 3 ft. x 4 ft. x 5.5 in. 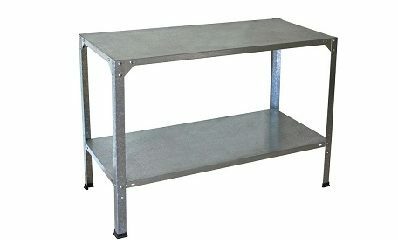 ; 2 ft. x 4 ft. x 5.5 in. 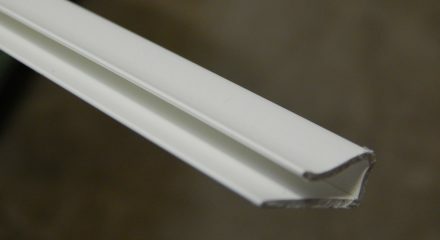 Please Note – Allow for two days to Fully Assemble (ground prep included). 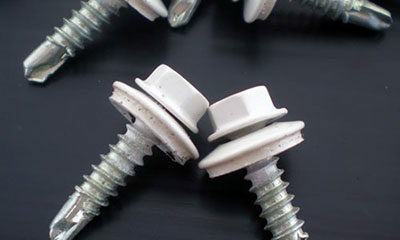 Two people suggested for assembly. 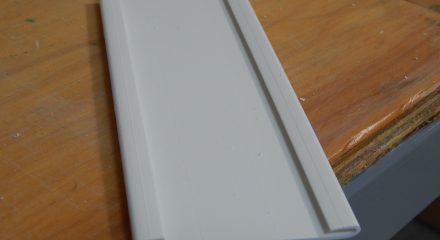 Manual is fully illustrated.